Jharkhand is ranked as the twenty-eighth state of the Indian union that came into existence in the year 2000. Jharkhand lies in the eastern region of India. It was formerly a portion of Bihar state. On November 15th 2000, it got separated from Bihar and became an independent state. This state is surrounding by five states on all its borders. These are Bihar in its North, Chhattisgarh and U.P in its West, Odisha is present in its South and West Bengal in its East. Jharkhand, is also popularly called as ‘The Forest Land’. 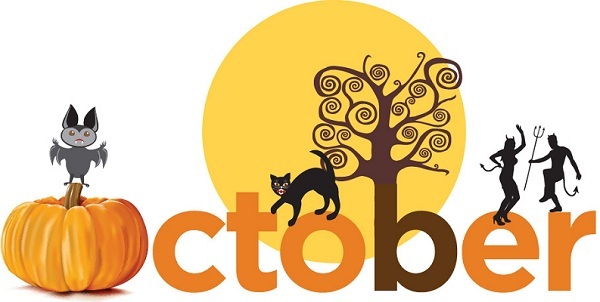 It is a true destination for all wildlife enthusiasts and nature lovers. Ranchi is the industrial capital city of Jharkhand. Jharkhand is popular all over the country for its rich mineral base. This is one of the major features that keeps industries all across the globe in up and running state. Jharkhand is also proud to make available abundance of gold deposits.This state has abundance of mineral resources like coal, iron ore, limestone, mica, dolomite, asbestos, graphite, etc. It accounts for around forty percentage of the total portion of mineral resources in India.Here you will find nearly 100% of the country’s coking coal that comprise of 30 percentage of semi coking coal and 93 percentage of medium coking coal. Jharkhand lays the foundation for the thermal power in the country. Jamshedpur city is regarded as the first industrial city. It is also home ground to the “Tata steel Plant” that got established in the year 1907. It was founded by Jamshedji Tata. Jharkhand is a place dominated by tribal people in which around 28 % of population is tribal and around 12 % of it belongs to scheduled caste. The major tribes of Jharkhand state are Oraon, Santhal, Ho, Munda, Bhumji, Kharia, etc. You will find people of different religions live with peace and love. Here 68.6 % of population is Hindu, 14.5 % is Muslim and near about 4.5 % of people are Christians. 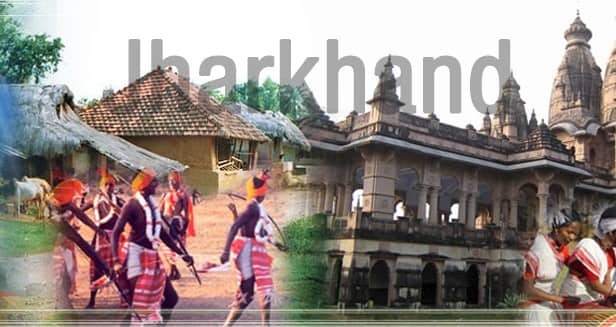 Jharkhand is a religious place known for its rich cultural heritage. Here people celebrate each and every festival with great joy and unity. One of the major festivals celebrated in this state is Karam festival that is popular especially among Oraon tribe. Other important festivals are Teej and Vat Savitri. Besides these, there are several fascinating facts of this place that most of the locals may not be aware of. Let us take a look at them. 1. One of the most interesting facts of Jharkhand is that the meaning of the word Jharkhand is derived from the Hindi work Jhar meaning bushes. Due to which this state is also called as “Land of bushes”. It. 2. Most of the area of this state is situated on Chhota Nagpur Plateau. This plateau is the foundation of Damodar, Koel, Subarnrekha and Brahmanirivers. 3. Not many people known that Jharkhand is a spiritual state that has several incredible temples that are a great attraction spot for tourists. Deoghar is one of the ancient cities of Jharkhand state that is popular for its grand temples. Baidyanath Dham is the place that is considered to be one of 12 popular Shiva Jyotirlings. This dham is builtin Deoghar district of Jharkhand state.There are twenty-one other temples situated in the campus that depicts different Hindu Goddesses and Gods. Shravan Mela is held every year in the auspicious month of Shravan that is celebrated with great enthusiasm and spirit among people at this place. Giridih Shikharji and Shikharji Mountain Peak is recognized as the highest range of mountain in Jharkhand. It is also a popular Jain pilgrimage place with several Jain Temples. Naulakha Temple in Deoghar is located at around 1.5 kilometers far from the “Baba Baidyanathtemple”. The architecture of this temple is very simple and the total cost of construction is approximately nine lakhs. Hence it is called as the Naulakha Temple. 4. The most popular dance forms are Jhumarand Agni dance. 5. Jubilee Park is the key attractions for all visitors from all over the world. This park covers an area of 200 acres. It has got a zoo, garden, amusement park, and fountains. 6. Not many people know that Maithon Dam in Jharkhand is ranked as the top ten tallest dams all over the country. The biggest reservoir of the country is present in Damodar Valley. It has a distinctive underground power station that is spread over a vast area of sixty-five sq. kms. 7. Rock Garden in Ranchi liesnearly four kms from Ranchi town. This rock garden is considered to be one of the five incredible rock gardens in the entire country. Another important and interesting fact related to Jharkhand is that this state has the highest mountain peak “Parasnath” that has a height of approximately 1366 meters. 8. Another important interesting fact of Jharkhand is the Hundru waterfalls in Ranchi. It is the thirty-fourth highest waterfall that has a height of around ninety-eight meters. Hundru Fall is formed by Subarnarekha River. This fall is the highest waterfall in the entire state of Jharkhand. 9. Tata Steel Zoological Park is one of the great adventurous places in Jharkhand that is the most loved sites among children. It lies near the Jubilee Park and popular for several different species of wild animals. Both Ranchi Zoo and Tata Zooare the most popular wild animal parks located in Jharkhand. Betla National Park, another zoo in Jharkhand is the home to wide varieties of wildlife. It is located in the “Chota Nagpur Plateau”. The protected region of Betla Park boasts to be the first wildlife park to get recognition as a “tiger reserve” under “Project Tiger” in India. 10. Jharkhand is a great place for higher education with the best educational institutions like NIT, BIT Mesra and Xavier School of Management. Jharkhand is the birth place of several popular personalities such as captain of Indian cricket team, Mahendra Singh Dhoni. In addition to this, several Bollywood personalities belong to this place such as Meenakshi Sheshadri, Tanushree Dutta, Priyanka Chopra, to name a few. Jharkhand is a home to several top industries that gives it the status of an economic power of the country. It has obtained several subsidiaries by the government in order to enhance the confidence within the locals in the state. All the above facts make Jharkhand, one of the best places to visit.